It is appropriate that a Vietnam War memorial be placed on the grounds of the state Capitol. This will demonstrate our state's commitment and gratitude to our veterans. Fifty years ago, more than 500,000 U.S. military personnel were deployed to Vietnam. The year 1969 brought many of the same experiences of the previous year, which recorded the greatest number of casualties during the Vietnam War. Almost 3 million warriors served in Vietnam. Thousands were from Oregon. All total, there were more than 58,000 American troops who died in Vietnam; 710 of them were Oregonians. The era of the Vietnam War was a tumultuous time. There was strife and discord. The Vietnam-era veterans were treated poorly — spit upon, verbally rebuked and, on many occasions, physically attacked for wearing a military uniform and serving their country. During the ensuing decades, the Vietnam veterans, and their service to our country, were essentially ignored. In our state Capitol building, you can find a memorial to the veterans of the Civil War. In our state capital city of Salem, on state properties, there are memorials honoring the veterans of the Spanish American War, World War I, World War II, Korean War and the Afghan and Iraqi wars. Yet, in our state capital city, there is not a statewide monument or memorial honoring our Vietnam War veterans. The states of California and Washington erected memorials on their Capitol grounds to honor their Vietnam vets and to collectively say "welcome home." It is time for the state of Oregon to do the same. Over the past two years, a group of Oregon residents have been working to that end. The Vietnam War Memorial Fund was founded as a nonprofit charitable organization, established with the sole purpose of funding and building a Vietnam War Memorial on the Oregon state Capitol grounds. House Bill 2195 establishes a Vietnam War Memorial on the Capitol grounds and provides the necessary permissions for the expeditious completion thereof. 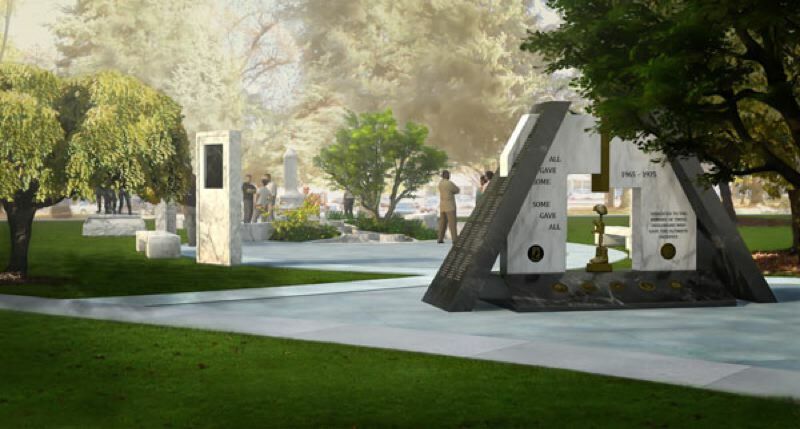 In addition, it iterates that the memorial will be funded by donations from the private sector. Let us honor and memorialize our Vietnam War veterans for generations to come. It is time for the state to say "welcome home." For more information, log onto www.vietnamwarmemorialfund.org.